In this section you have a selection of the best mobile applications (APPs) for the deaf community, separated by IOs or Android. We hope you find them useful! Do you know any application that you think should be included here? Do not hesitate to write us through the contact form. Advantages • It facilitates a new channel of communication between citizens and the FFCCSE, complementary to existing ones. • Guarantees accessibility to these services for people with communication disabilities. • Fast and instant translation. Advantages • Transcribe the words pronounced around you so that you can read everything that is spoken or commented through your mobile device. • Allows you to reproduce written phrases or templates to facilitate communication with other people. Disadvantages The identification of words works in a more than correct manner but the mobile device must be located in a way close to the speaker, otherwise, it will not pick up any type of sound. Advantages • It allows deafblind people to receive and enjoy without intermediaries the contents of television at the same time as the people around them. Disadvantages • Little plays available. • Subtitles regarding the image and somewhat delayed sounds. Advantages • Surprising application that works quite well, serves to call another person and transcribes in writing with a fairly acceptable quality what is being said, in such a way that helps to understand. • When you install it, you have a free 60-minute bonus. • You do not need the other person to have the application, just call it through RogerVoice. Disadvantages If you like it, you will need to buy minutes since it is a paid application. • It allows you to create your own stories with images or videos from your mobile, increasing the children’s imagination and a greater involvement when carrying out cultural and educational activities. • You do not need to be connected to the network once you have downloaded the stories on your device. Advantages • Facilitate phone calls by creating a chat with an operator that will call for us. Disadvantages •The availability of the operator is needed. 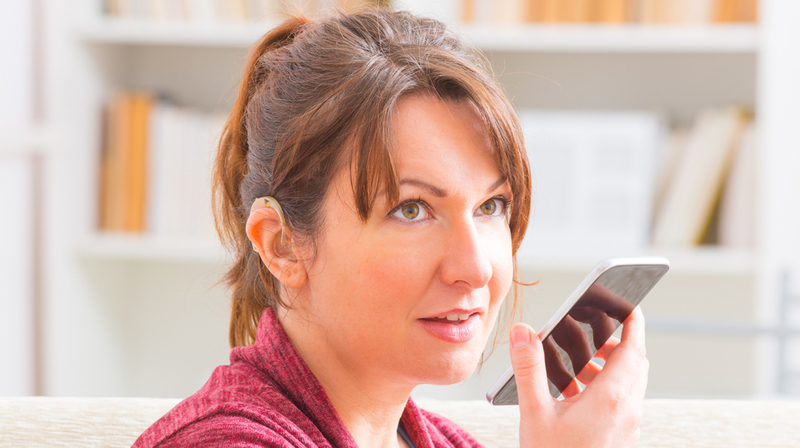 Advantages • After performing an auditory test, adapt the sound of the mobile to your hearing to take care of your ears when you play songs, videos, watch TV or even talk on the phone. • Allows you to enter your audiometry directly. Disadvantages The application must be constantly activated, being able to considerably reduce the battery consumption of the mobile.